Nikon D850 vs Canon 5D IV: Is Canon getting walloped? Nikon took the wraps off the Nikon D850 early this morning and it didn't take long for photographers to wonder how it compares to the Canon 5D Mark IV. In short, the D850 beats the Canon on nearly every spec. Looking at a specs-only comparison is not fair, and not always indicative of real-life shooting situations. However, we can't help look at the specs of the two and draw some conclusions as to which camera will win over the most photographers. Video 4k No 4k unless you're at a 1.74x crop factor. No 4k HDMI out. Who is the Overall Specs Winner? In this specs comparison, the Nikon is cheaper, has 20% higher resolution, has significantly better video capabilities, has a tilting LCD screen, its battery lasts for nearly twice as many photos, and it has a much beefier buffer. That isn't to say that the Canon 5D Mark IV is in any way a slouch of a camera. It's an absolutely awesome camera in use. Everything from the touch screen to the excellent wi-fi implementation, to the image quality is fantastic. However, on paper and only reviewing the specs (which isn't totally fair), it's tough to come to any conclusion other than the fact that the D850 absolutely wallops the Canon 5D Mark IV. In the remainder of this review, I hope to bring out some of those points where the Canon shines even though it may not be reflected in the specs. I was pleasantly surprised to see that Nikon undercut the price of the Canon 5D Mark IV. 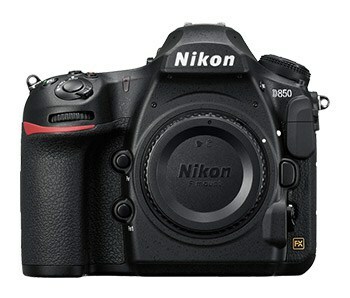 I expected Nikon to match Canon's price. The D850 is $200 cheaper than the Canon. However, the camera is only part of the system. I also wanted to see what it costs to purchase the camera, and the lens trinity (16-35 (14-24), 24-70, and 70-200 on both systems). I wanted to get as close to an actual street price as possible, so I'm going off average pricing on Amazon over the last few months. The above comparison isn't entirely fair. The lenses may have the same focal lengths, but they aren't the same lenses, so the price isn't always the same; however, it gives you a fair idea of what a pro photographer would pay for a kit in both camera systems. While Nikon's camera may be $200 cheaper, the Nikon lenses have spun out of control in terms of the pricing. They have priced their lenses SO high that they are setting themselves up for photographers to begin defaulting to the third-party Sigma lenses instead of paying the Nikon tax. Remember just a few years ago when photographers flocked to Canon if they were interested in video? The 5D Mark II was such a fantastic video camera that photographers went crazy on DSLR video. Now? Videographers are flocking the other direction. Canon has Nerfed the video capabilities on its DSLR cameras. Some say it's just Canon falling behind, other say they are just trying to protect their C-series video cameras. Personally? I am concerned that this is just a sign of Canon falling behind. Canon's 1Dx camera uses a generation processor that is older than the processor in the newer 5D Mark IV. Yet, the 1Dx does 4k video. The truth is that Canon is holding back its technology and intentionally giving us a worse camera–not to save money on a processor or hardware–but simply to force us to pay more. Can you imagine if the iPhone had a faster processor, but intentionally slowed it down so we'd have to buy a Mac? That's how insane this is. With nearly every camera released over the last 5 years, there are rumors that it will have built-in GPS. Then, when the camera is finally released, they pull out on GPS. A GPS chip to include in a camera costs less than $10. Yet, many manufacturers are not including this feature which would be a tremendous benefit to landscape and travel photographers. I was extremely happy to hear that the 5D Mark IV would have built-in GPS. This should be standard in every single camera produced, and I'm disappointed in Nikon for failing to include GPS. Especially for a guy that just released an iPhone app of the best photo locations in the world, GPS in cameras is important to me. Every time I say anything about resolution, I hear tons of comments that essentially say “We don't need more resolution. I can already print as big as I want.” In my opinion, this is the wrong way of looking at it. 10 years ago, I heard people saying that 12 megapixels were plenty. Right now, the computer screen I'm on (retina iMac) is almost 15 megapixels. So now, all those photos from years ago when 12 megapixels was “plenty” can't even fill my screen. But there's a limit, right? At some point, our eyes just can't make out any finer detail, right? Well, yes. That's true. Most people can't even tell the difference between a 5k screen and a 2.5k screen (See the proof on this Youtube video). However, what this doesn't consider is computational photography. Increasingly with each year, we are able to do edits on photos that were not possible before. Simply capturing the most amount of data today, I believe, will make your portfolio images last much longer. I am not insane about capturing data, but if I'm on a shoot that I know will make it into my portfolio, I make it a point to focus stack the image and bracket the image. Then I have so much data that I have little doubt that image will look great even by the standards of imagery we'll achieve in 10 years. Another thing that isn't considered enough about resolution is being able to crop. I can't even count how many times I've shot something that I liked in camera, but significantly cropping in later produced a better photo. Remember shooting the eclipse with your 70-200 because you didn't have a long lens? Not a problem if you are shooting 40+ megapixels (speaking from personal experience here). Frankly, most photographers feel locked in their current camera system, even though most photographers could switch brands without losing any money. So few Canon die-hards will suddenly switch to Nikon over this change; however, I personally think the D850 is so good that it'd be worth it for some photographers to switch over. There is barely any incentive to shoot the Canon 5D Mark IV over the Nikon D850.